Following the development of the Internet and Information Technology, the demand for software projects have been increased rapidly over the past several years all over the world. In order to face up with this problem, entrepreneurs can resolve it either by having in-house developers or hiring out an offshored company. Each option has its own advantage and disadvantage that the managers have to consider carefully based on the company’s vision and realistic resource. In this article, Savvycom would love to give you a comprehensive view of creating a software product, as well as guide how to have an effective problem-solving for your business. There is no clear proof that the more money you invest in software products, the more equivalent outcomes you will get, but it is sure that if you invest in a right way, an appropriate amount of money also help you to have an unexpected result. But the question here is: How to estimate that money and what is investing in the right place? In the followings, we would love to show you the pros and cons of In-House and Offshoring in detail. 3. Why choose Savvycom for offshoring? Obviously, the most advantage of this kind is, you have a relevant and dedicated team on your side. These developers will put all their energy and passion for the company’s projects. Your software project will be more likely to have the company’s nuance, then express better company’s spirit. The full-time development team is always available and you can discuss directly with them if there are some changes in need. For example, when your website suddenly crashes, there is less opportunity that it is fixed immediately. As mentioned before, you have to manage a huge additional cost besides the developers’ salaries. It is even more not cost-effective if you only have a few software projects then, all your investment will no longer be used, which leads to money-wasting. More importantly, when you build an IT in-house, for example, for your six-month project, you have to deal with a tons of hidden cost for labours other than their original salary such as health insurance, paid time off, travelling, vacations and sick leaves, pension contributions; hiring and training, etc. just to name a few. Supposed that all other conditions being equal, prepare to pay 3.5 times more if you choose in-house development. These initial cost can quickly and become overwhelming for those who first lead a business. Finding the right developer for the business is also a harder work than you thought. The procedure for hiring new developers takes time when not only the HR Department but also the IT department has to involve in this process. Culture problems seem to be the biggest barrier when collaborating in different countries. In most case, the offshore software development company does not understand the product requirements and expectations thoroughly and comprehensively. Hence, the development team must have a long process to modify the product to satisfy their partner. Being in a different timezone is also a challenge for the two parties when they have an online conference call. In this case, one party maybe may work with low efficiency, which leads to the two parties do not understand each other clearly. The development team may do not have time to track your software product continuously but to periodically. Once a flaw appears, your company will need more time to solve it than having an in-house team. Information Technology Outsourcing (ITO) to foreign vendors has become the trend for companies who want to save money significantly. The money you pay for the vendors depends on the amount of time you work with them and the level of the developers. The hourly rate also varies differently in different countries. While the hourly rate for the expert level in the developing countries, like Vietnam, is 18-35$ US, hiring a developer in the US can vary from $US 90 to $US395, depending on their skills and languages. The fluctuation cost is 4 times less, leading to a flood of the offshoring to Asian companies. Time is money, that is true. Once you hire an outsource team developers, you just have to take the time to think about the best strategy for your company as well as focus on operating the overall business but not for caring all the other stuff like hiring IT department or manage their workflow, etc. The offshoring will come with specialised expertise that helps to immediately solve the company’s problems. Your company will have a software product tailored personally for you by top experts without requiring a long-term commitment. At Savvycom, about 80% of our engineers have more than 3 years experience; project managers, Technical Leads and QA Leads have more than 10 years experience. It’s hard for your company to finish a short-term project within pressing deadlines. It is even more seriously if your new software project required a high level of expertise or a big sum of money to buy facilities. Therefore, an outside agency with professional knowledge and skills would be best for an emergency. Savvycom is a leading software offshoring company which has nearly 10 years of existing. At Savvycom, you are absolutely set your mind at rest, as our service has overcome all the above obstacles when using oversea vendors. Our team not only has software expertise but also be able to speak English proficiently. This enables Savvycom to better understand our clients, and collaborate effectively with them. Whether it’s the mobile application, web application development, enterprise management solutions or Cloud & DevOps services, we can create powerful products to help you optimise investment costs and enhance your business. By and large, it is confused to decide whether you should choose an outsourcing project or hiring in-house developers for a project. 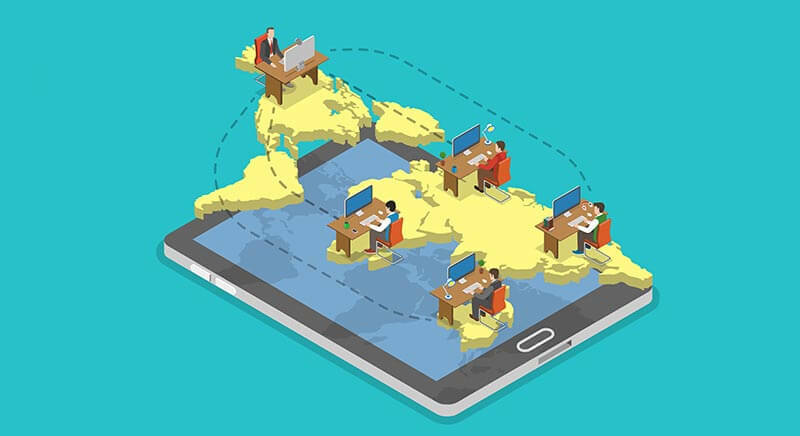 Hopefully, through this article, you have enough resource to evaluate the pros and cons of offshoring and in-house development, then choose Savvycom as your most suitable partner for your company.